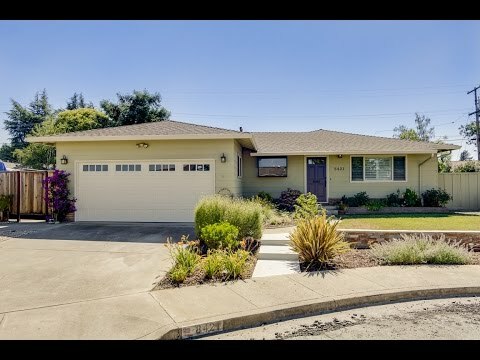 8421 Diane Ct, a remodeled home, is located in a friendly neighborhood community, has easy access to the 101 freeway and Gilroy Outlets. The delightful landscaping and curb appeal invites you to come in and enjoy the home as well as the back yard that is great for entertaining. The rear yard has matured fruit trees which include lemon, oranges, and pomegranate. With many upgrades throughout, including granite countertops, recessed lighting in the living and dinning room, hall bathroom, and a family room made for entertaining that includes a cozy wood burning fireplace. The family room leads you to the backyard that has a covered patio for shade but still allows for sunlight to hang out with your friends. The original floor plan for this home was 3 bedrooms/2 bath. The previous owner converted it to 2 bedrooms/2 baths to add the formal dinning space. We have plans for how to bring it back to its original floor plan if needed.